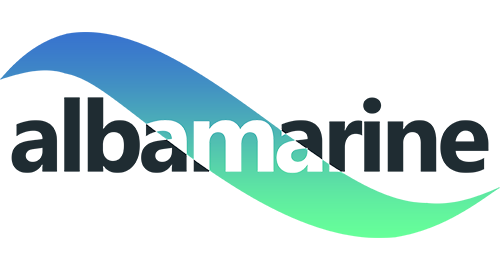 The latest in the Albamarine family, for an easy… snorkout! 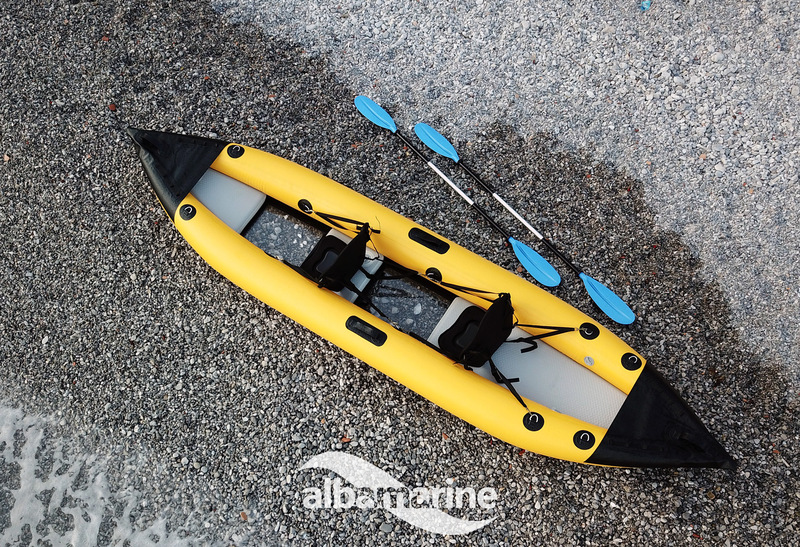 Practical, low weight, high-strength materials… OC2 AIR has arrived, the first inflatable kayak with transparent bottom for the whole family! Holidays or outings with transparent kayak in tow? From today it is not necessary to equip yourself with bars and your car with a kayak holder, OC2 AIR has arrived! Quality, endurance, technology, exclusivity and emotion to observe the seabed… all conveniently stored in a practical travel bag! The weight of the canoe is only 25 kg, including repair kit. 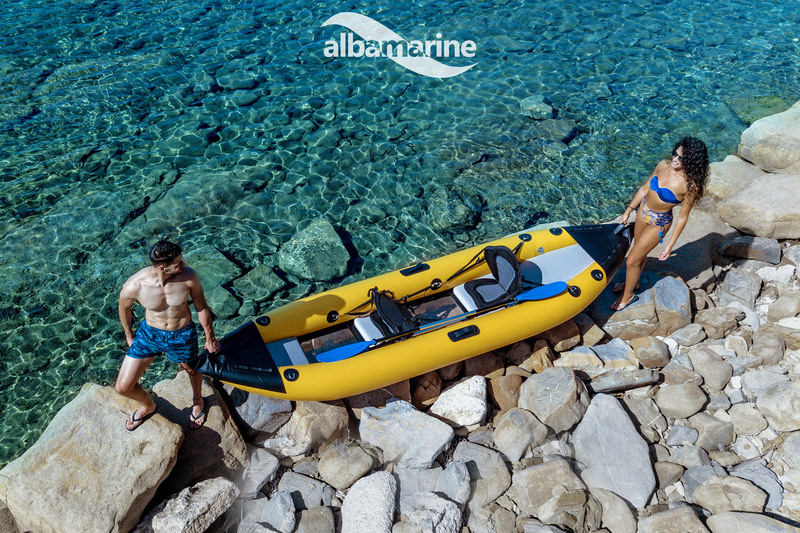 The thickness of 0.9 mm and high-strength PVC will allow you to enjoy this innovative, fantastic OCEAN in complete safety! The Bayer Macrolon© polycarbonate base, unalterable and perfectly transparent, allows an extraordinary view of the seabed. The adjustable seats adapt to any size. Inflation pump (10 minutes for complete set up). Generous dimensions and great maneuverability! OCEAN OC2 AIR… even smarter, even more snorkout! The latest in Ocean family… OC2 AIR!